The Tree of Life brand is one of the most extensive offerings of cards available for Jewish consumers. The size of the U.S. Jewish population is estimated at 5.7 million (Source: Jewish Virtual Library, 2014). 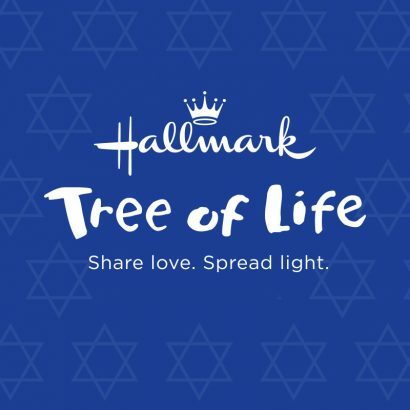 Hallmark introduced the Tree of Life brand in 1995. Hallmark has been creating cards appropriate for Jewish consumers since the 1940s. The company introduced the Tree of Life brand in 1995. The name Tree of Life was selected because of the significance of trees in Jewish culture. As a tree nurtures, protects and provides sustenance for those living around it, the Torah (five books of Moses that are a form of instruction in the Jewish culture) guides, protects and provides spiritual sustenance. Tree of Life features more than 300 cards for Jewish consumers, including Bar and Bat Mitzvah, bris and baby naming, as well as birthday, mazel tov, thank you, wedding, anniversary, sympathy and get well. Tree of life also offers cards for Jewish holidays like Passover, Jewish New Year/Rosh Hashanah and Hanukkah. Tree of Life cards feature relevant Jewish symbols with rich colors and beautiful illustrations. The line includes traditional, inspirational and encouraging messages, as well as light-hearted and humorous sentiments for both adults and children. Many cards use images from Hallmark’s Jewish Art Collection, which highlights the work Jewish artists throughout history. Based on consumer focus groups, Tree of Life has incorporated more humor, relevant Hebrew phrases, authentic photography and more artwork and writing by Jewish people. The line also features more simplified, elegant card designs. For laughs, the line features the humorous comments of Rhona, a character created by Hallmark exclusively for Tree of Life.